Planning on going somewhere for the day or night? Then the Hercules Travel Bottle is your travel buddy! 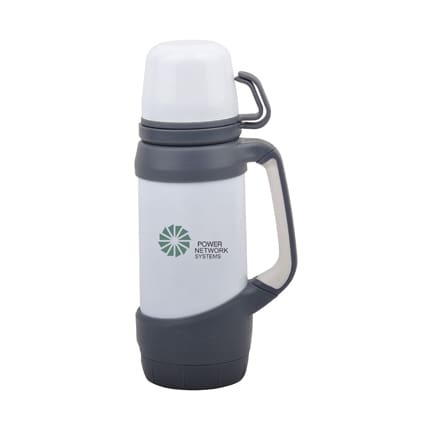 This 1000ml bottle has a stainless steel inner that is perfect for hot or cold drinks. It has a secure screw-on cap, a lid, and two cups so you can share your drink with a companion. Very useful and stylish, this is the ideal travel bottle for any outdoor activities. The Hercules comes in white with black trim.